1. When do I reveal the main idea? Do I reveal it early and repeat it often? Do I build up to it and reveal it later? How does the text set up the communication of the main idea? How does my audience influence when the main idea should be given? 2. When can I demonstrate the relevance of this message? How early can I form a connection between preacher/message/Bible and listeners? As well as the conclusion, can I show relevance in the introduction? How about in the wording of the main points or movements? What about in the transitions? Can I drop hints into the explanation of the text itself? 3. How can I do what the text does, as well as saying what the text says? Since this passage is unique, how will it influence this sermon so that it too is genuinely unique? Since God inspired the author and God is a great communicator, how does genre choice influence the way this sermon is preached? Where can I replicate the force of the text – perhaps the tension of a narrative, or the imagery of a poem, or the forcefulness of a discourse, or the provocation of a parable? 4. 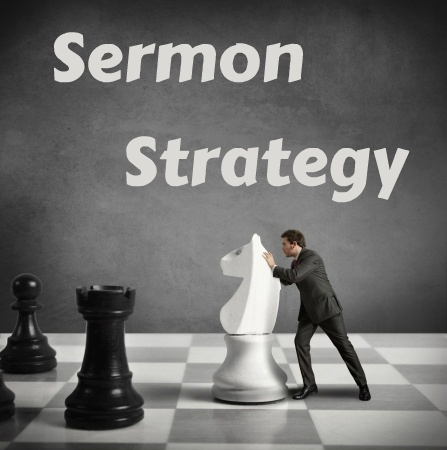 How can I reinforce the flow of the sermon with delivery details? Can I reflect the energy or warmth of content in the manner of delivery? Perhaps I should sit on a stool for some, or be able to put my Bible down for a part, or have the freedom to step away from the furniture, or would a prop help, or . . . ? Am I spotting danger areas where I may feel rushed, or may become monotonous, or may lose momentum? 5. What is God’s heart in all of this? Have I allowed my own strategic planning to become a private thought process instead of a prayerful dependence on God? Can I talk all this through prayerfully instead of privately so that I lean on God? Can I talk all this through with a team from my church so that I can benefit from their perspective before I preach it and enable them to pray more intelligently too? ← What Does Transformational Preaching Transform?